If you are like me, you probably have a few (or 20) really fun rolls of washi tape sitting around. Organizing them is fun and colorful, but today I have an idea you can use for your cardmaking or scrapbooking: DIY washi tape embellishments! This card (in my shop now!) is a fun combination of die cuts, colors and patterns. I used a few of my favorite go-to-products for this one: A Muse Studio shimmer cardstock (for the clouds), washi tape and baker's twine. Did you know that A Muse Studio's "that's the ticket" stamp set makes a great top/bottom border? Neither did I until I used it to highlight the sentiment on this card! Just mask off the sides of the ticket using post-it notes, ink the stamp, ***remove the post-its*** (very important!) and stamp your card. The stamp set and coordinating die are part of the Sweet Sale going on right now, and are 25% off! Order here. There is also an assortment of Shimmer cardstock that would be great for your Valentine's crafts. Check out the whole "Sweet Sale" flyer here: Sweet Sale PDF. 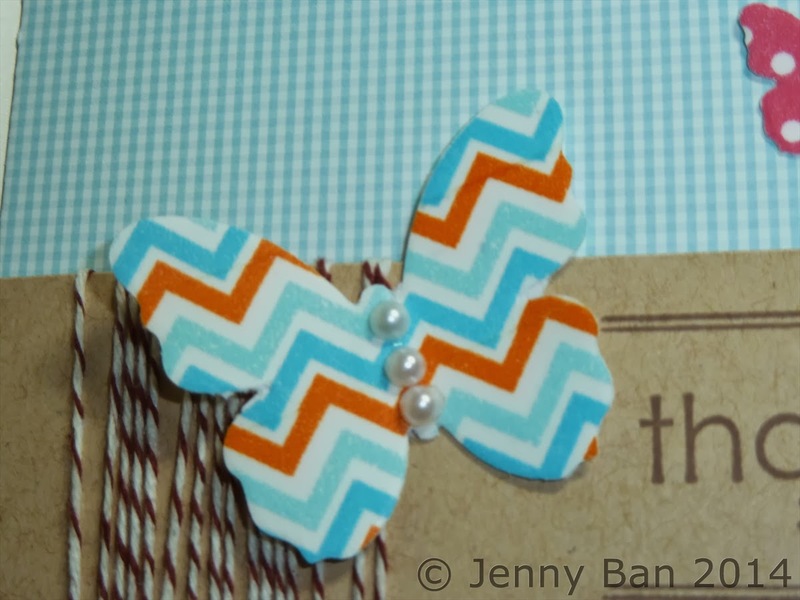 So...on to the stars of our card, the butterfly embellishments! 1. Take a scrap of white cardstock slightly larger than your die. 2. Lay washi tape on the cardstock in strips. Make sure the long edges of the tape just touch, or overlap slightly. Continue until you have covered the area you are going to die cut. 3. Cut the shape using your Sizzix Big Shot, Cuttlebug, or other manual die cutter. You can also do this with an electronic die cutter such as Cricut or Silhouette, but remember to adjust the blade setting because the cardstock is now thicker (with the washi tape on it). 4. Embellish with adhesive pearls, such as A Muse Studio pearl stickers, or other fun bling.